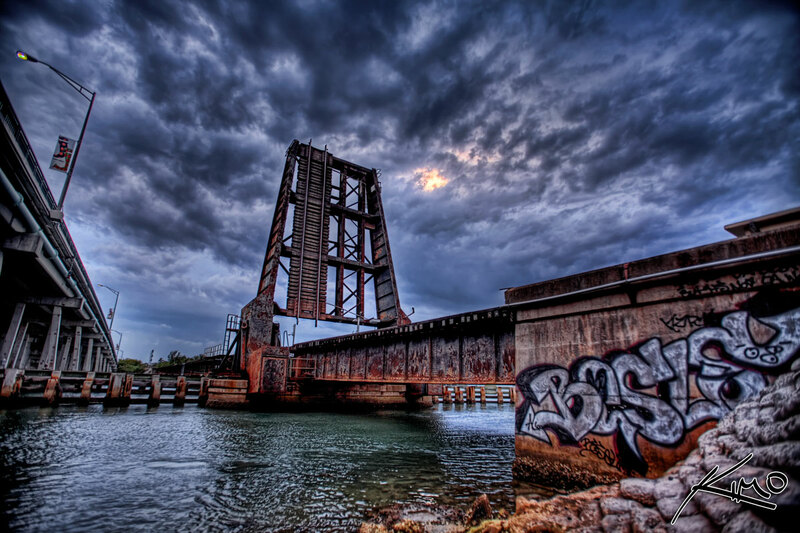 This railroad bridge can be found in the Jupiter, Florida area. There is always something fascinating about railroads, and when you put a draw bridge into the equation, that’s something asking to get photographed. There is definitely a uniqueness to this railroad bridge but I can’t quite figure it out. It could be all the dirty and grungy textures surrounding it. Dirt and grime always puts a smile on my face. Railroad draw bridges are pretty rare to come by. I drop by this place every so often when I’m in the Jupiter area. A great place to kick back and relax. The next one is about 20 miles north from hear in Stuart. I don’t find railroad bridges that fascinating.